Prominent Gay Rights Lawyer Dies In Brooklyn Park : The Two-Way Before ending his life, David S. Buckel, who was also an environmental advocate, wrote a letter urging people to stop polluting the environment. 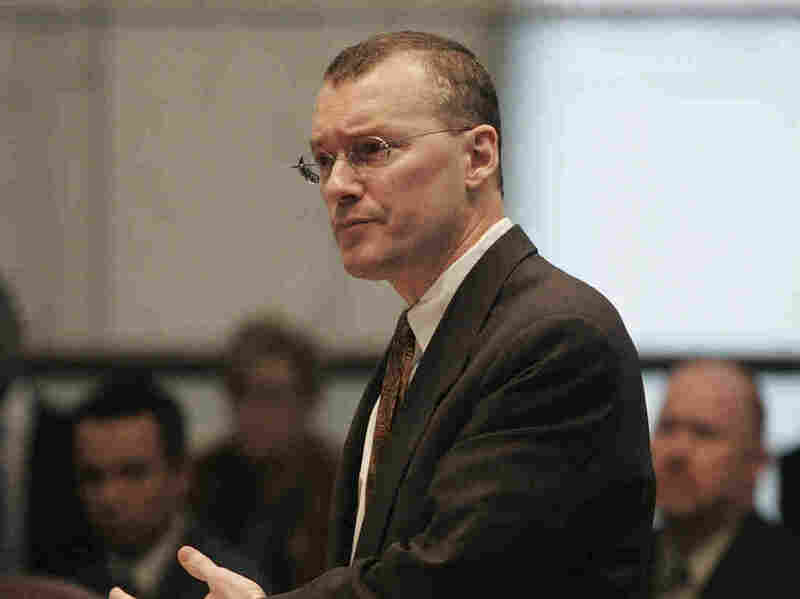 David S. Buckel, a prominent gay rights lawyer and environmental advocate, self-immolated in Brooklyn's Prospect Park on Saturday. In 1996, Buckel represented an openly gay Wisconsin student who dropped out of high school after suffering prolonged physical and verbal bullying by peers, with no intervention by the school administration. In a landmark decision, the federal court ruled that the school should have prevented anti-gay harassment. In 2006, he argued to the New Jersey Supreme Court that gay couples were not receiving equal protection of the law after municipalities them denied marriage licenses. As he embarked on the marriage equity case, he asked his future legal partner, "Do you want to be involved in the greatest civil rights movement of our time?" Through his career, he stood up to the Boy Scouts of America, the U.S. military and the I.R.S., according to Cornell Law School, where he received his law degree. He also represented low-income and disabled people. By 2016, Buckel was focusing on protecting the environment. As a senior organics recovery coordinator for an initiative hosted by the Brooklyn Botanic Garden, he wrote about how Brooklynites were composting food with the help of solar and wind energy. It was a warm, sunny morning, and a Twitter account by Prospect Park had tweeted, "Host your child's next birthday party in Brooklyn's Backyard. Families can rent the Prospect Park Carousel for birthdays and special occasions." The Times said that authorities had cleared away Buckel's body by 11 a.m., and a dark, circular patch was left in its place marked by two cones. The New York City Police Department told NPR that a note was left at the scene. "It is being treated at the time as a suicide but it's still under investigation," a spokesperson said. Camilla Taylor, Lambda director of constitutional litigation and acting legal director, said in a written statement, "We have lost a movement leader, a colleague, and a friend. We will honor his life by continuing his fight for a better world."